When you order a glass of wine on a plane, it's likely your only thoughts are, ''I hope it tastes good'' and ''I hope it helps me cope with the sound of the kids'' (yours or someone else's). But there's a fascinating series of work at play behind the scenes of your inflight tipple. Roy Moorfield has worked as Cathay Pacific's ''sommelier of the sky'' for 30 years, so he knows a thing or two about wine in the sky, and he says the drink behaves far differently up there than it does down on solid ground. While the most common perception is that this is caused by altitude, the truth is something else altogether. "When you're in the cabin of a plane, the atmosphere is about 40 per cent dryer than on the ground," Moorfield says. "This has the effect of drying out your nose and dulling your sense of smell. What we smell is what we taste, so when you're not smelling properly, your pleasure from the flavour of wine is diminished." But, there's something else the wines want to tell you (and it sounds just what your ex-partner said): it's not just you – it's them. Moorfield explains, "The other part of it is that when a plane takes off, it shakes with micro-vibrations that continue as the plane goes through the air. These vibrations upset and separate the flavour molecules in the wine." There's no rule about which wines are more affected by an aeroplane's vibrations than others. "It affects some wines and not others; a wine can even be really good one vintage and the next it isn't. "And there's only one way to find out if they're affected or not: to fly them. "So, that's what we do," Moorfield says. "We give the wine samples a good eight to nine hours on a plane, and then we can assess how they've stood up to the trip." In the early days, Moorfield used to taste the wines first and then compare them after they'd been flown. "We used to taste them in Hong Kong, and we were surprised that the wines we thought were the best on the ground in Australia failed to get in the top 10 in Hong Kong. That's when we had to work out what effect the flight was having on the wines." These days, though, Moorfield can immediately taste the wines that haven't travelled well. "We know the taste of the bottle shock now – it dulls the wines – so we don't have to pre-taste them." While there's no way to know which wines are going to be good on a plane, you have to place an element of trust in the airline. Moorfield says he believes most top airlines pay a lot of attention to their wines and how well they travel, from economy class to first class menus. 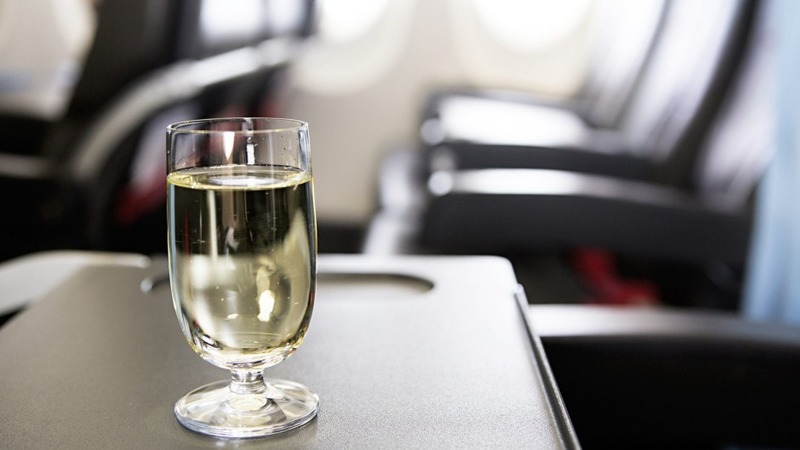 "When a sommelier is choosing wines, even for economy class, they're presented with about 500 wines and it's just as easy to pick a good one as it is to pick an ordinary one. You might as well put some of the good ones on the list!" There are a few secrets to picking the best of the lot, though. "Varieties with bigger, more forceful flavour – like chardonnay and shiraz – perform very well in the air," Moorfield says. 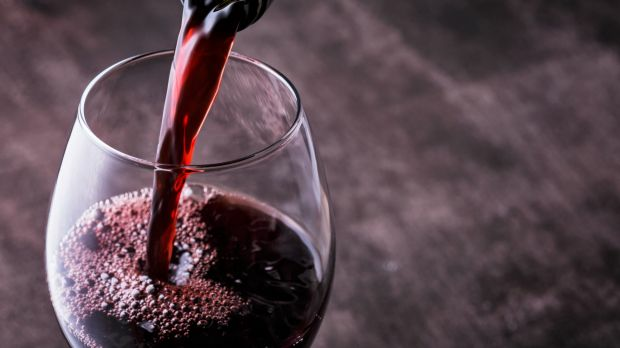 "Very tannic wines aren't good: the effect of the flavour being dulled by the cabin air and the vibration means you're often left with prominent tannins on the palate rather than fruit and tannin. It's not very pleasurable." "Very subtle wines don't work, and young semillon and young riesling don't show up well; they don't have a lot to give when they're not bottle aged." "Pinot noir is terrific if you can get the right one, but it's very difficult to find the right one." - Temperature can be a problem because wines are loaded with the food. "When you have a red wine, just leave it for a minute and it will be the perfect temperature." - Because your senses are dulled, go big or go home. Order a chardonnay or shiraz to give your nose a chance to take in the aromas when you're drinking. - If you find a rosé on your inflight menu, order it. "It does the job of a white wine with a lot more flavour, and a red wine that's softer in tannins, and they travel really well."